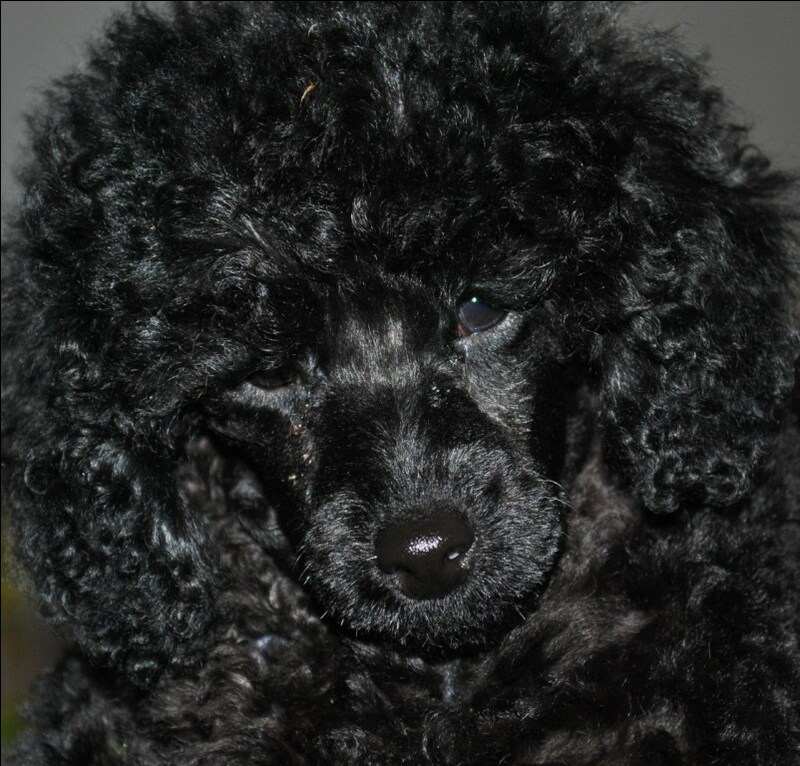 This weekend we got our new little black Poodle. He is a Dwarf Poodle and named Kudos Firework, “Toshi“. One of my favourite Dwarfs is his mother Ch. Kudos Kournikova and his father was a lovely black classical Toy Poodle, Ch. Atastar Harvey Nic´s, he was only here in Sweden for a short while to get his title and now he is back in England again with his breeder/owner Mr Philip Langdon. I just loved both parents temperaments and attitudes and thought this must be a great combination. We are looking forward to see how this little man can develop to. Thanks to Mikael Nilsson, Kudos Poodles for letting us have this little charmer!